I first introduced myself to sound designer and field recordist Giel van Geloven when I interviewed him about his European Sirens sound library for his SoundFuse website. In that article, Giel van Geloven shared a novel technique for capturing siren sound effects. He also described a thoughtful field recording session using an extensive selection of premium gear. I reached out to him again to see if he was interested in elaborating on his equipment choices for this series. He kindly agreed. What Giel van Geloven shared is a rare look at some of the best equipment available to field recordists, as well as a very impressive tool used to deal with one of a field recordist’s most challenging issues: wind protection. Creative Field Recording: What is your favourite kit/microphone & recorder combo? My favorite would be the Aaton Cantar with Sennheiser 8000-series microphones or Neumann KM-series microphones. Rycote gear for wind protection. For situations where smaller microphones are needed I’d go for DPAs. I have the Telinga Parabolic mic and a couple of Barcus Berry Planar Wave contact mics high on my wish list. For underwater stuff I use a pair of Aquarian audio h2a-XLR hydrophones, which sound amazingly good. 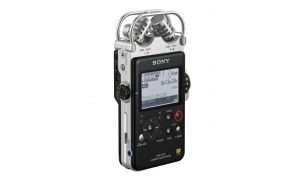 I usually carry a Sony PCM-D100 wherever I go to be able to record sudden sound surprises you come across in daily life. An amazing sounding pocket recorder with great battery life. Also great for stealth stuff. CFR: Why is it Your Favourite Gear? In my opinion, this is the best combo out there. The Sennheisers low self noise, big and fat in the lows and clear/crisp in the highs, and compact in size. 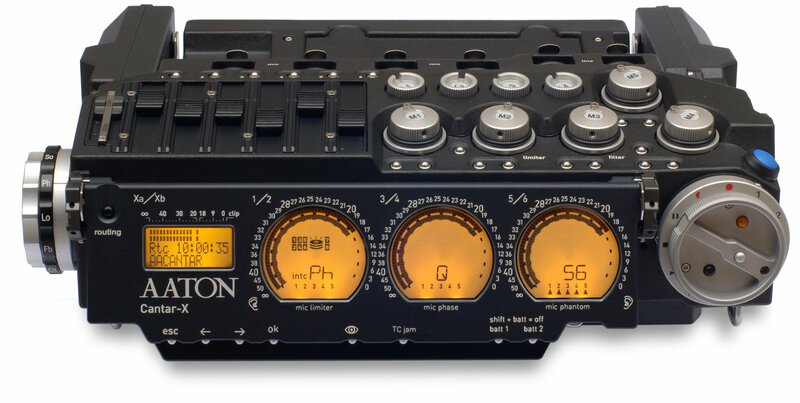 I think the Aaton Cantar outperforms my Sound Devices 744T which is a great recorder as well. But the Cantar’s pricing is a lot steeper and it’s not as portable as the Sound Devices. CFR: Do you have a favourite experience/recording made on this kit? The Sirens library I made with production sound mixer Antoin Cox was completely shot with his two Aaton Cantars and Neumann KM series microphones. A few years back I stayed at a castle on the French countryside. At night absolutely no audible elements could be heard outside. No traffic, no crickets, no birdlife, nothing. Deafening silence. Luckily, I had my D100 with me. The perfect opportunity to record the large creaky shed doors, corrugated metal roofing impacts, basically any exterior stuff I could think of. I shared some of those original recordings over at thesoundcollectorsclub.com. Thank you to Giel van Geloven for sharing his experiences field recording for his sound libraries! Sennheiser MKH 8040 stereo cardiod condenser microphone. Neumann U87 three-pattern (omnidirectional, cardiod, figure-of-eight) condenser microphone. Sound Devices 744T 4-track timecode audio recorder. Aaton Cantar X2 8-track digital audio recorder. 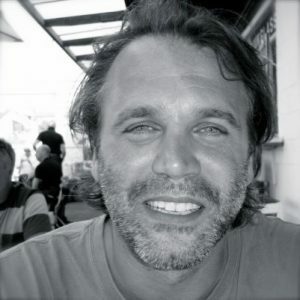 Check out Giel van Geloven’s sound fx libraries at SoundFuse. Visit Giel van Geloven’s studio website.